The Globidens was a marine reptile which was present on the earth in the late Cretaceous period of the Mesozoic era. It existed on the earth about 70 to 60 million years ago. This lies in the Maastrichtian age of the Cretaceous, the very last stage of the period. The Globidens is classified under family Mosasauridae. But it was unlike other Mosasaurs in many respects, especially its dentition. Most Mosasaurs had sharp and pointed teeth which were adapted for the grasping and ripping of their prey. The Globidens on the other had small and rounded teeth. This was a special adaptation for breaking the hard shell of turtles and other shellfish. The name Globidens was chosen for the animal’s unique teeth structure. ‘Globi’ stands for ‘globular’; and ‘dens’ is the Latin word for ‘tooth’. Thus the name Globidens translates to ‘smooth and circular teeth’. The species names of the Globidens are mostly derived from the places where they were discovered. The type species Globidens alabamaensis is inspired from the state of Alabama. Similarly, G. dakotansis means ‘from Dakota’. The nomenclature of the remains of the Globidens was done by scientist Charles Whitney Gilmore. The classification of the Globidens was never a matter of contention. Its bones clearly showed characteristics of Mosasaurs and thus they were immediately classified under family Mosasauridae. Due to the distinct morphology of its teeth, the Globidens has been classified under tribe Globidensini. It is evident that the circular teeth of the Globidens were developed to crush hard shell. Turtles and crustaceans were rather abundant in the late Cretaceous period. The Globidens could reach the soft tissue inside its prey after cracking open the hard exoskeleton. Long and sharp teeth can easily chip and crack if they are used to ply open the hard external coverings of shell fish. On the other hand, rounded teeth resist such damage and easily penetrate tough objects the way a hammer cracks cement. The reasons for this trait can be multifold. 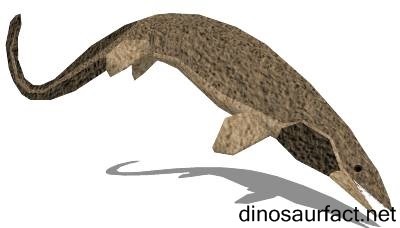 It is feasible that owing to the presence of an oversized variety of predators, it became tough to capture the standard prey of Mosasaurs like fish, pterosaurs, etc. The ancestors of the Globidens could not keep up with the stiff completion of the Cretaceous waters and started looking elsewhere for food. The other possibility could be that food sources began to dwindle in the latter stages of the Cretaceous period. This forced Mosasaurs such as the Globidens to find alternate sources of nourishment. An additional explanation could be that turtles and other Chelonians were very easily available to the ancestors of the Globidens and hunting other animals was neither convenient nor worth the effort. It is extremely tough to determine the precise cause for this adaptation, but it is certain that it was indeed a significant one. The remains of the Globidens were first discovered in the state of Alabama in the United States of America. This discovery was made in the year 1911. At this point it was believed that the geological range of the Globidens was restricted to the waters around North America. But about two decades later, a second species belonging to genus Globidens was discovered in Africa and was described by Friedrich von Huene. In the year 1975, another Globidens species was found in North Dakota. After this, many subspecies have been excavated in North America. A variety of the Igdamanosaurus was also incorrectly grouped under the genus Globidens and was later moved to its correct location. Almost the entire skeleton of the Globidens is available today. These bones belong to different subspecies but they give a fairly accurate idea about the size and dimensions of the Globidens. 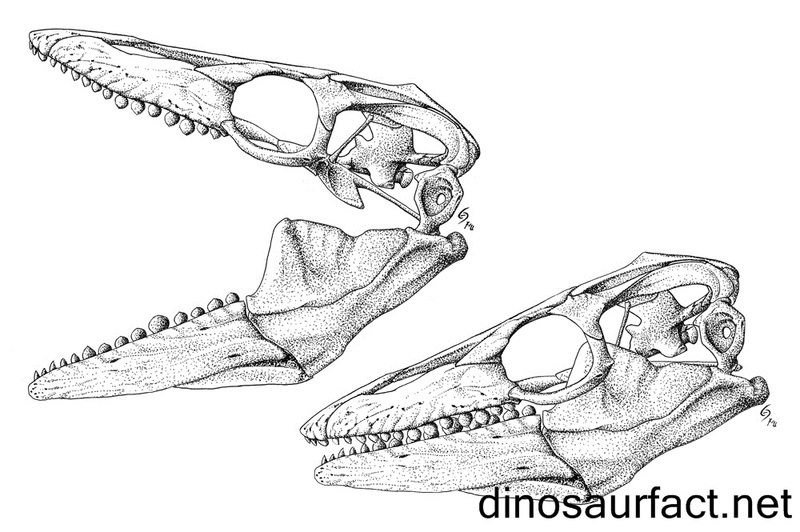 The teeth of the Globidens are one third in size as compare to other Mosasaurs but are more than twice as thick. This gave the Globidens the strongest bite force of all known Mosasaurs. Its smoothed teeth were it most remarkable features. Charles Gilmore was an American vertebrate paleontologist. He has sorted and curated many dinosaur species in the early nineteen hundreds. Gilmore was appointed to work for the National Museum of Natural History after he discovered the remains of the Apatosaurus. He was entrusted the task of examining the plethora of remains collected by Othniel Charles Marsh. Gilmore’s most famous exhibit at the museum was the mounted specimen of the Diplodocus. The success of this exhibit with the visitors of the museum secured Gilmore the curatorship of the National Museum of Natural History. The Globidens was middling in terms of size. It was about 18 to 22 feet in length. It was a slender animal and weighed about 450 to 600 kilos. It had very diminutive flippers and most likely did not possess a fin on its back. The snout of the Globidens was long and robust. The sturdy neck muscles further toughened its jaw. The Globidens had a stout tail which was flattened from the sides. The muscle pattern on the tail vertebrae indicated this fact. The caudal fin of the Globidens was considerably large. It was used to give direction to the creature while swimming. The Globidens was a carnivorous vertebrate. As mentioned earlier, its teeth were tailor made to shatter rigid shells. It predated upon the various sea turtles of the Cretaceous period. It did not attack larger marine vertebrates as its jaws would not have been able to grasp such prey. The habitat of the Globidens consisted of waters along the coasts of the various continents of the Cretaceous period. The wide ranged prevalence of the fossils of the Globidens indicates that it was very successful and possibly present all throughout the world. 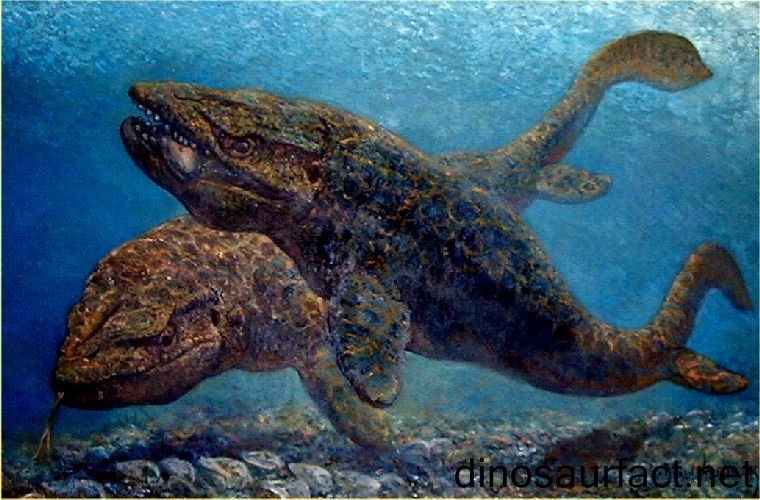 The Globidens is considered to be related to the smaller mosasaur Carinodens. Just like the Globidens, the Carinodens had spherical teeth which were used to crush the slighter oysters. The Globidens lived alongside the other Cretaceous marine animals such as the pterosaurs, ammonites, sharks, etc. The Globidens is an outstanding example of evolutionary modifications. Its dentition was completely different as compared to other mosasaurids. This adaptation has fascinated scientists since the time it was discovered. The Globidens may have lasted much longer on the earth had it not been for the Cretaceous Paleogene extinction event.